I am 40-ahem years old, at a crossroads. After nearly 20 years of marriage, during which we raised two daughters (one from his first marriage, one ours), the hubs and I are empty nesters. Lots of changes are happening now, and I am embracing this new stage in life. 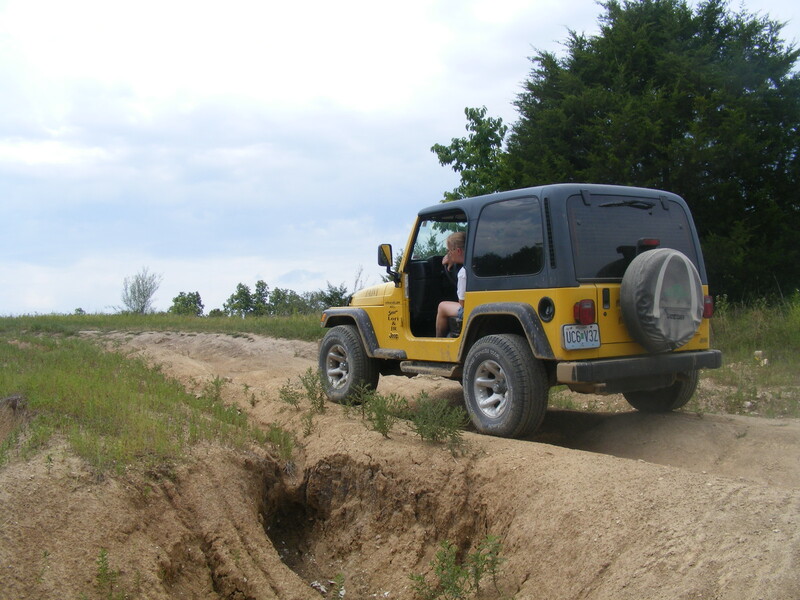 I bought a 2001 Jeep Wrangler – that’s Daisy above. I make time to meet with my critique group every two weeks. I scrapbook and create. For me, what matters most in life is experiences and whether I record them in stories or photos, those experiences are sign posts along the Path I am creating. After years of being a wife, mother, daughter, employee, I found myself seeking more. It is time for me to find my own way, to make room in life for my own dreams. It’s not just about making time for a hobby – it is about finding the real me. This is a spiritual journey, getting to know myself and respecting the talents that I have been blessed with. I hope you will join me on this journey. Together we will CREATE a path that will lead you to a satisfying life. I wish you blessings on your journey of discovery and creation! Thank you so much! I’m honored. I’ll swing by. 🙂 Thank you!